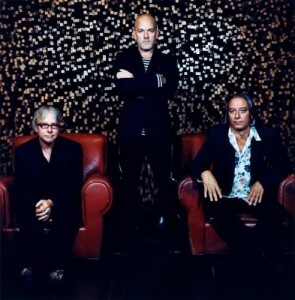 In the last decade, R.E.M. were responsible for the not-so-memorable Around the Sun and Accelerate. The two were no more than inglorious ink blots on the pristine CV of the trio – the alt. rock legacy was dwindling, aside from the odd flash of brilliance (note: Leaving New York, Supernatural Superserious) Ultimately, this talk of the fabled R.E.M. having popularised the alt. rock movement that spawned the Pixies, Nirvana, Dinosaur Jr. and more was lost on my youthful ears – perhaps it was a different band with a similar name? However, the opening 21 seconds of Discoverer explodes in my earphones with such a tenacious energy, such vibrancy – it is, quite simply, phenomenal. Stipe’s vocal, when combined with the utter genius of Peter Buck, make for a fantastic mix: this song drips with the youthful exuberance of records long confined to the archives. Pop Song ’86, Radio Free Europe – Discoverer sits very comfortably in the same family. And, unlike on the last two offerings by the band, the immediate success is not a once off – All the Best, Uberlin, Oh My Heart, It Happened Today and Alligator_Aviator_Autopilot_Antimatter all run effortlessly in the same vein. There are a number of notable guest spots on the album, each having been heavily publicised beforehand. Peaches, Eddie Veder and Patti Smith all make memorable appearances, Peaches’ vocals on ‘Alligator…’ mirroring Stipe’s wonderfully, while Veder adds a morose undertone to It Happened Today. Smith’s appearance comes at the very end of the album, the mournful and oddly enchanting Blue – frantic spoken word, layered over Patti Smith’s yearning vocal and subtle guitars. It is powerful. Collapse Into Now echoes the qualities of R.E.M.’s finest moments – Drive, It’s The End of the World As We Know It (And I Feel Fine) both crop up in new, more shiny forms, while the album as a whole sits neatly in the midst of the Atlanta, Georgia trio’s finest work of the 1990s. Melodic guitars, pop hooks and alternative rock genius all make a long-overdue return to the forum here: it has a real college-rock feel to it. Think Pavement, think Dinosaur Jr., think the Pixies, Sonic Youth and even Band of Horses. 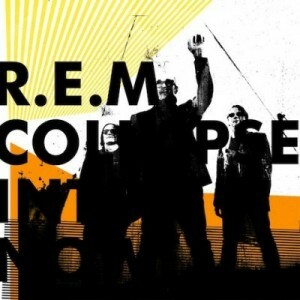 Collapse Into Now feels loose, as though for the first time in a very long time, R.E.M. are looking to express themselves, and not the band that everyone thinks they should be. Rather than confining themselves to the boundaries of middle-aged band acting slowly through the motions, they break down the walls and rediscover what made them tick in the first place. The result is plain to see – an album that is youthful and energetic, hopeful yet cynical, idealistic and realistic: it is R.E.M. at their very best.